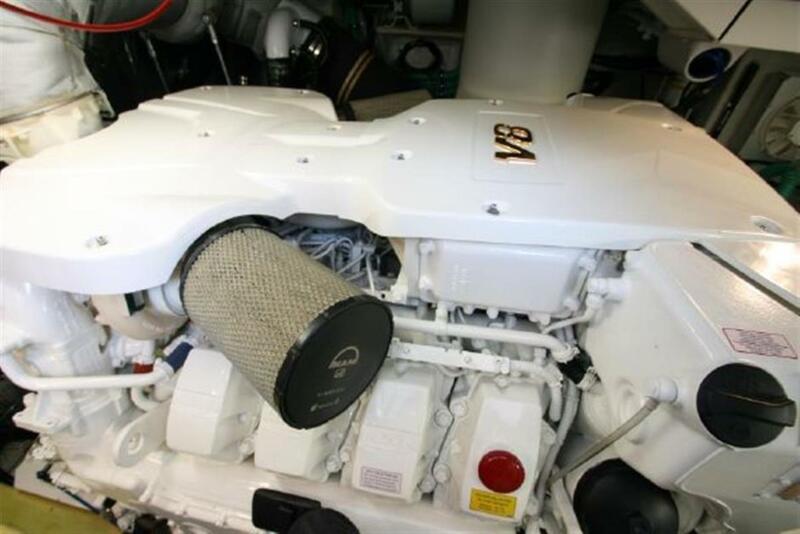 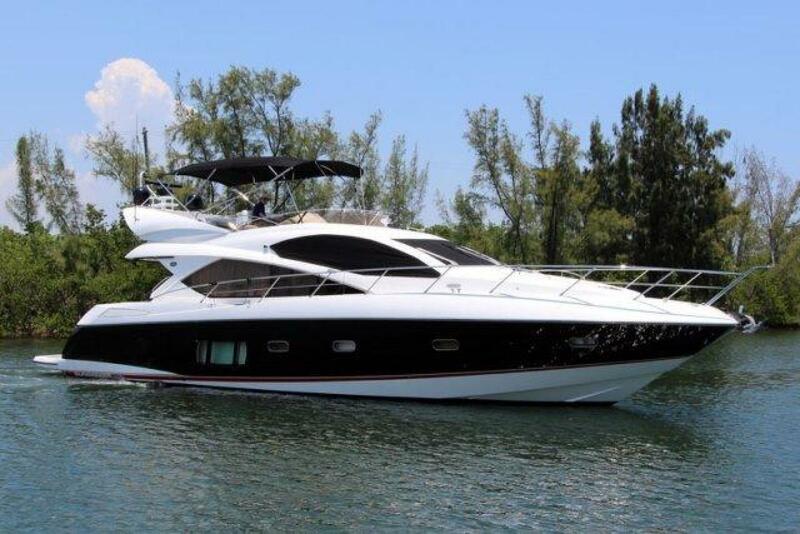 This 2011 60' Sunseeker Manhattan is upgraded with Twin MAN 1000 engines compared to the 900 MAN standard package. 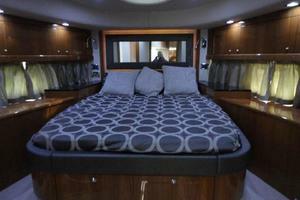 The 60' Manhattan line provides pace and space that family and friends can operate comfortably on their own. 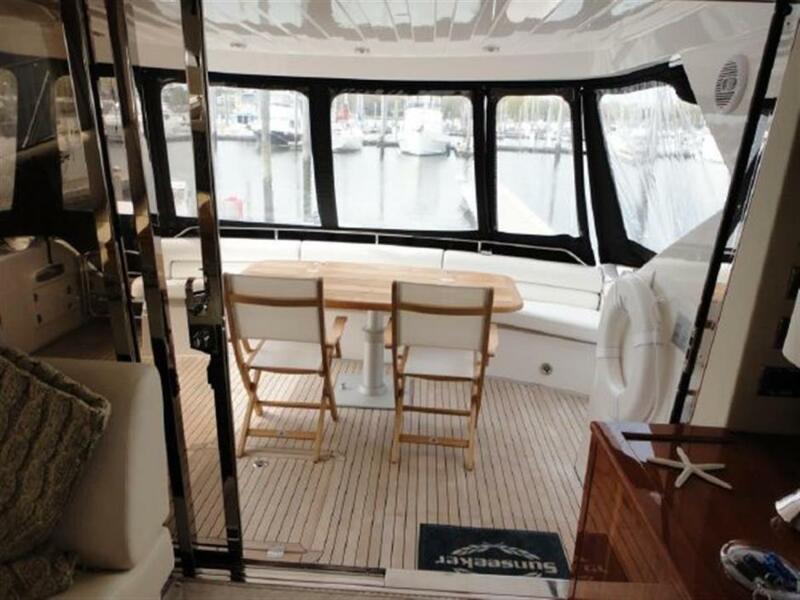 This vessel has a open main deck with a flowing walkway and seating areas blending the Salon and the Helm, all flooded by natural light and open views. 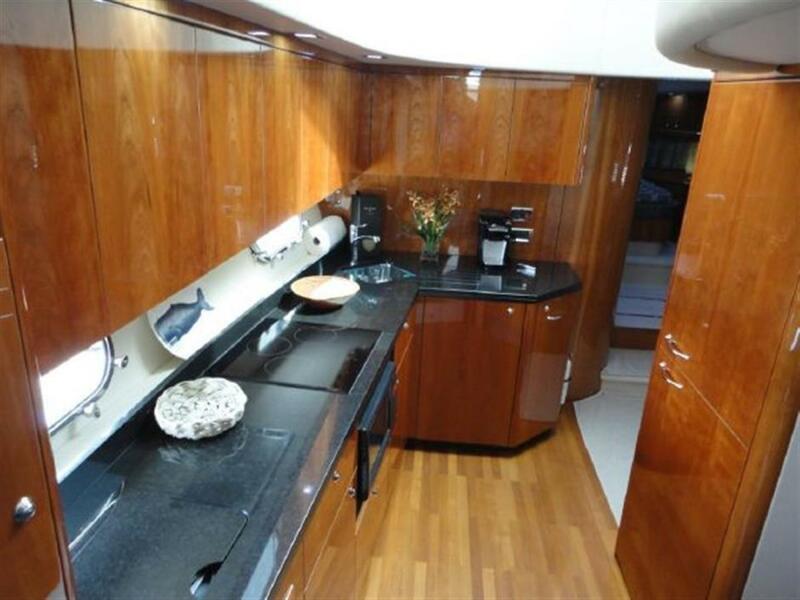 Enhancing the openness of the upper deck, the galley is below on the lower deck, accessed by an attractive stairway to port of the helm station and its companion seating. 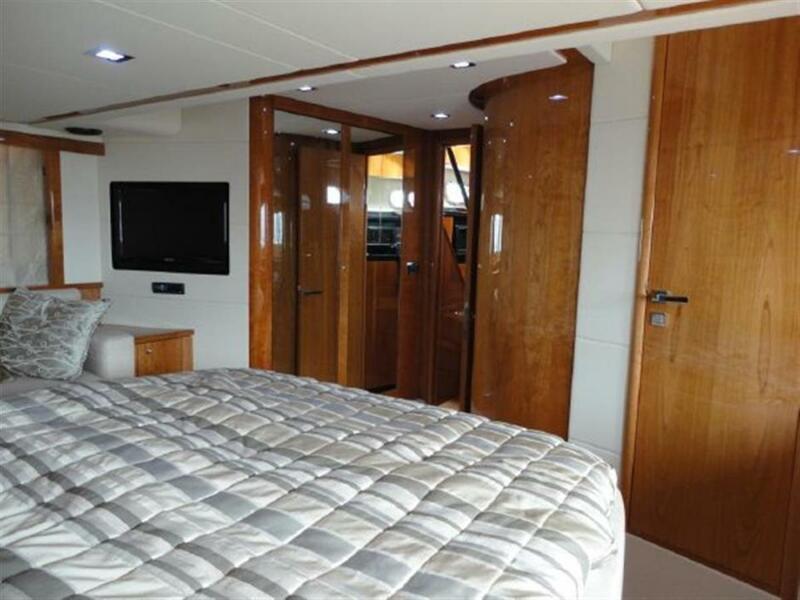 The three sleeping cabins, master, vip and twin cabin, share the same intrinsic qualities of fitting, finish, headroom and natural light. 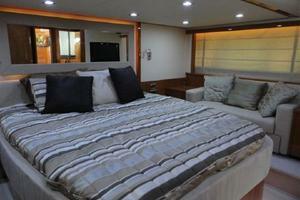 This vessel also has a crew cabin for one with its own head. 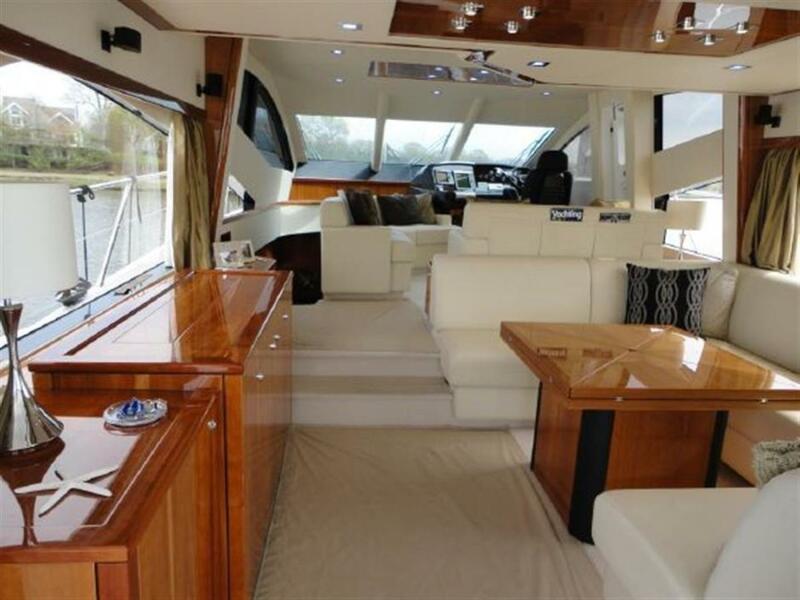 Up on the flybridge with its commanding helm station, sunpad, wetbar and large wraparound dining area, the emphasis on open-air comfort is clear, and the cooling shade of the Bimini Top is provided. 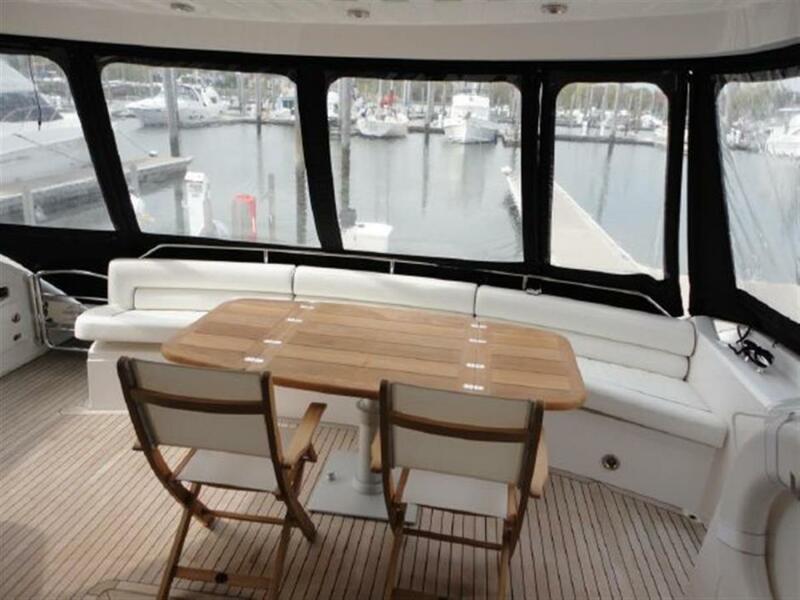 Beneath, the wheelhouse command center still connects with the outside world with a practical, starboard-hand Pantograph big-ship door that the sleek external styling all but conceals. 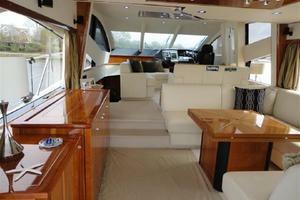 Immaculate very low hour late model Sunseeker. 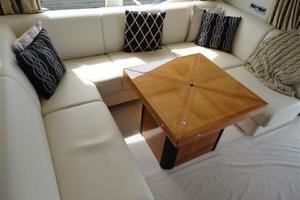 She has extended transferable warranties in place from MAN. 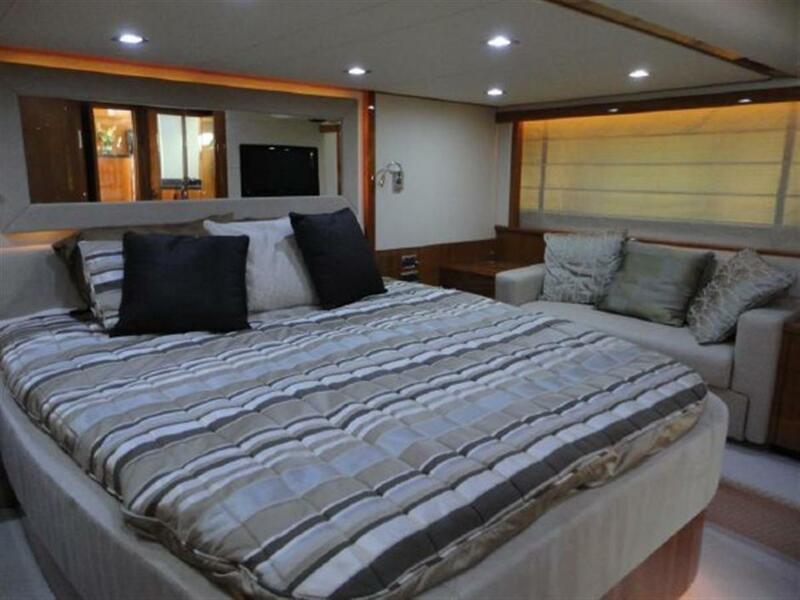 LED lighting throughout, TRAC Vision system throughout with separate receivers allowing the viewing of different programs in different cabins. 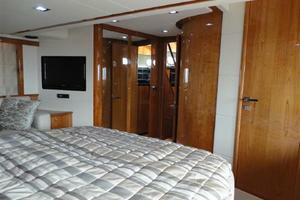 Separate Bose surround sound systems in main salon and master stateroom. 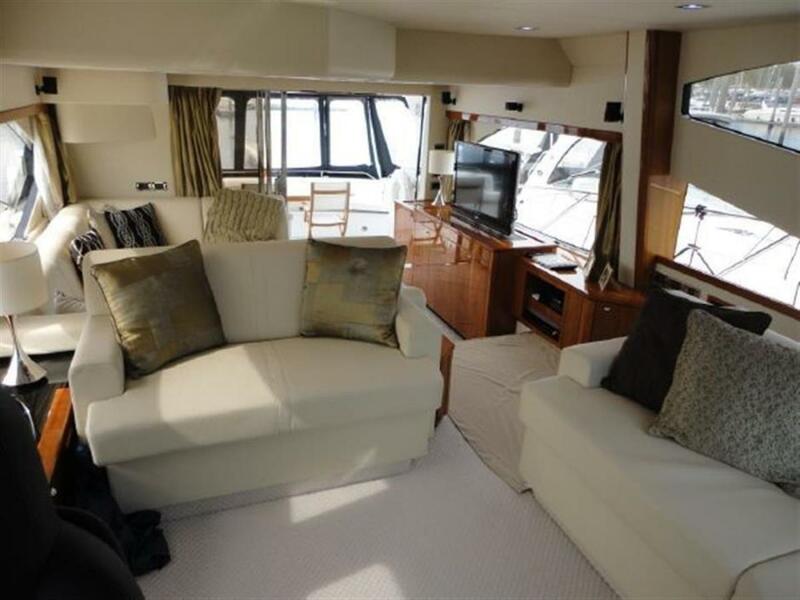 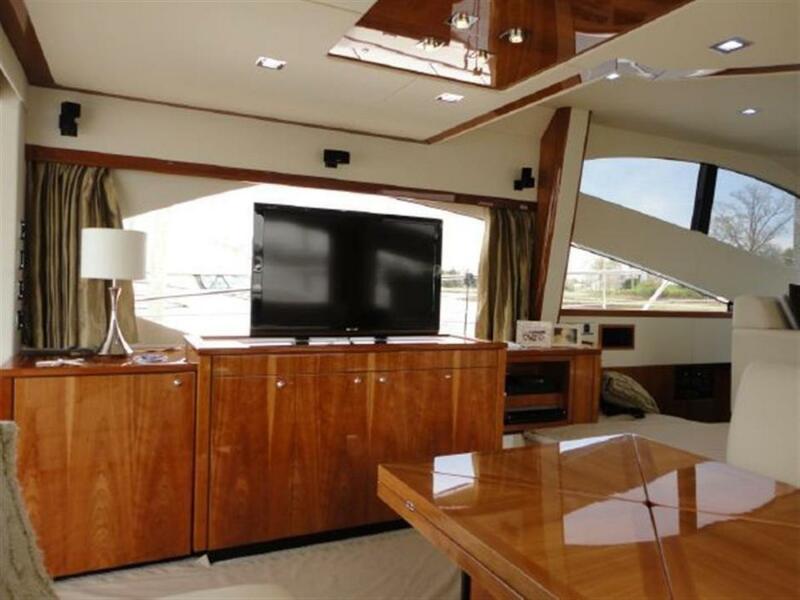 Main salon Bose system has a three zone master control allowing the flybridge, aft deck and main salon to play different channels controlled by three separate Bose handheld units. 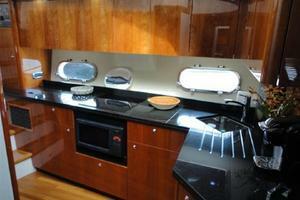 MP3 and IPOD docks wired into this system as well. 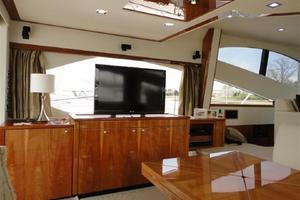 42" LED big screen TV on lift in main salon and flat screen TV's in all staterooms including the 4th stateroom/Capt cabin. 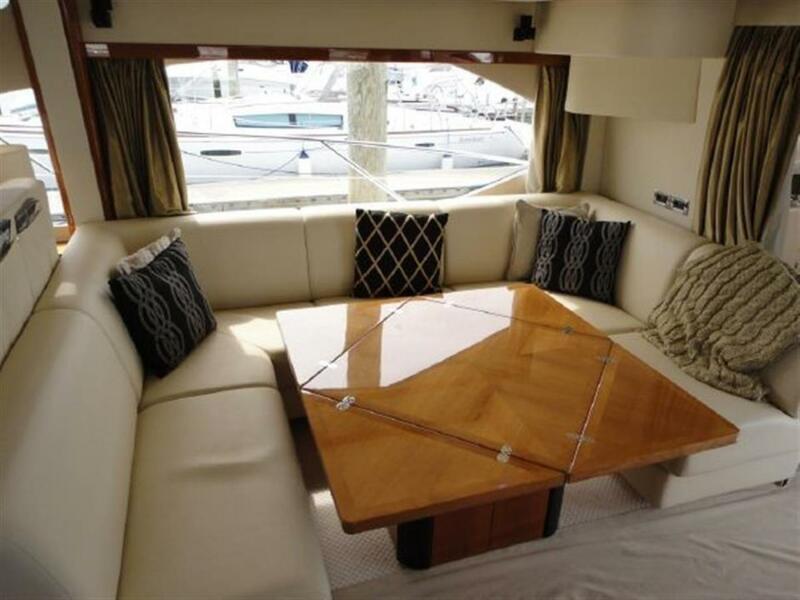 She is ready to entertain a crowd or family in luxurious and contemporary surroundings. 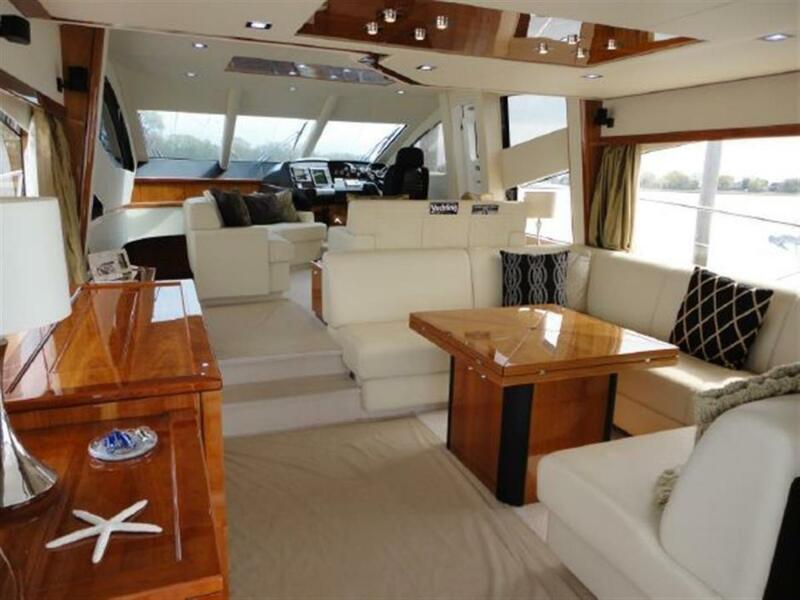 She is fully equipped with upgraded Furuno NavNet 3D screens-2 at each helm, including Furuno radar and Furuno chartplotter and Simrad autopilot controls, MAN electronics readouts at each helm station, as well bow and stern thruster controls. 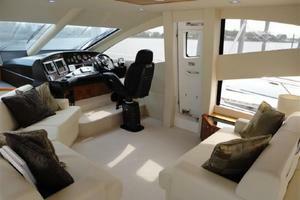 Handheld yacht controls on aft deck. 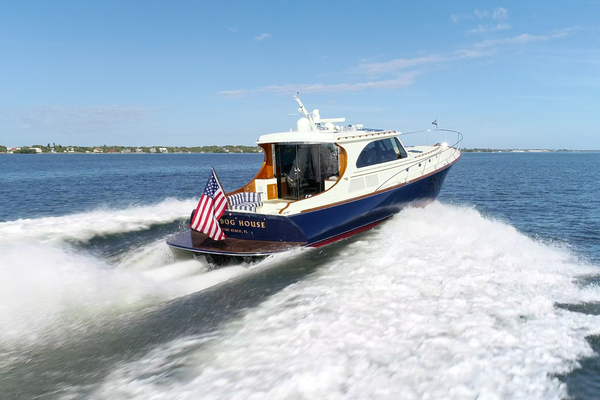 She has hydraulic bow and stern thrusters permitting exceptional control while maneuvering in tight places and can easily be handled alone or by a couple. 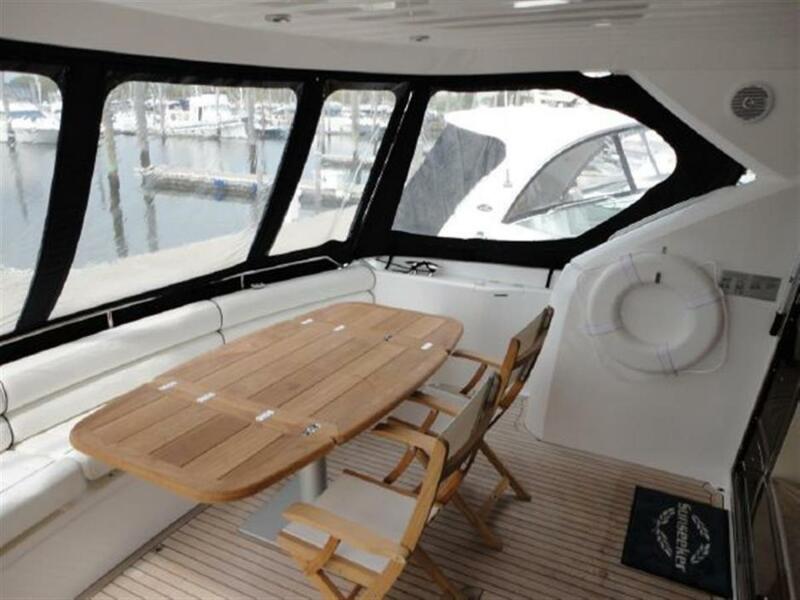 Tender storage is conveniently provided on the large hydraulic swim platform which in her absence can provide a submersible "beach" for water access. 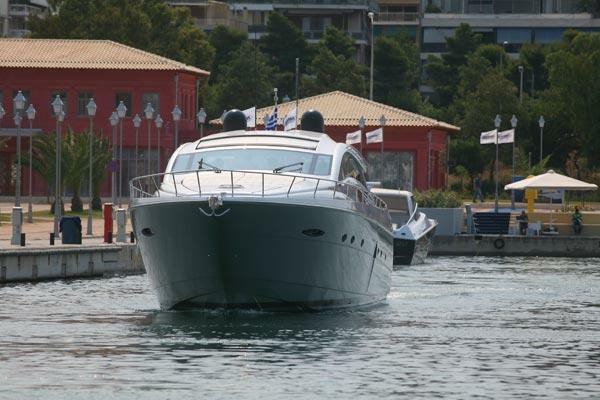 Hydraulic pasarelle deploys from under steps from aft deck to swim platform. Day or night she is a stunning yacht. 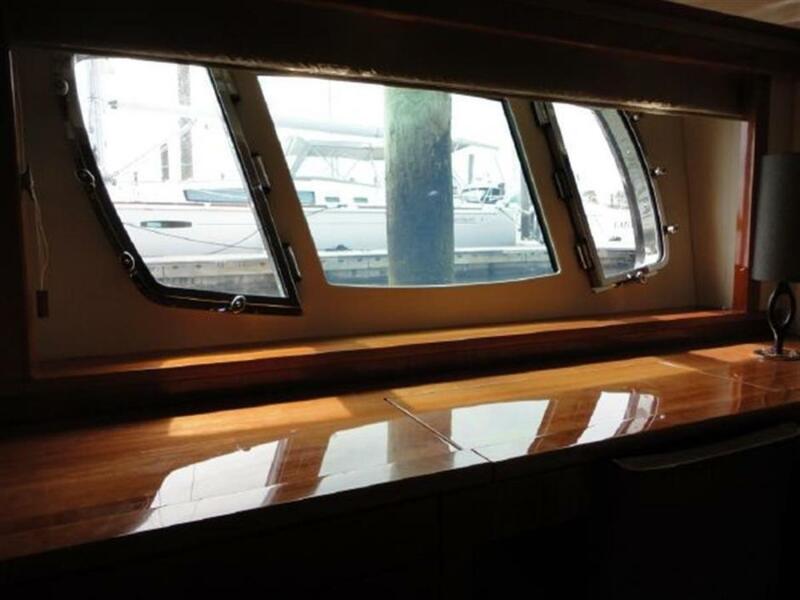 At night her LED aft deck and foot lights along their walkways light her up and the underwater lights provide a halo of lighting around the stern area. 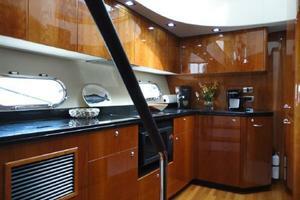 Inside the lighting engineers also did a great job of lighting the living area including the galley. 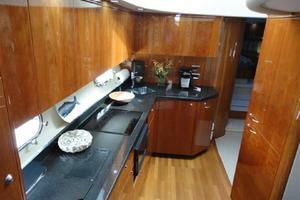 The galley is huge and out of the way but still connected visually to the main salon. 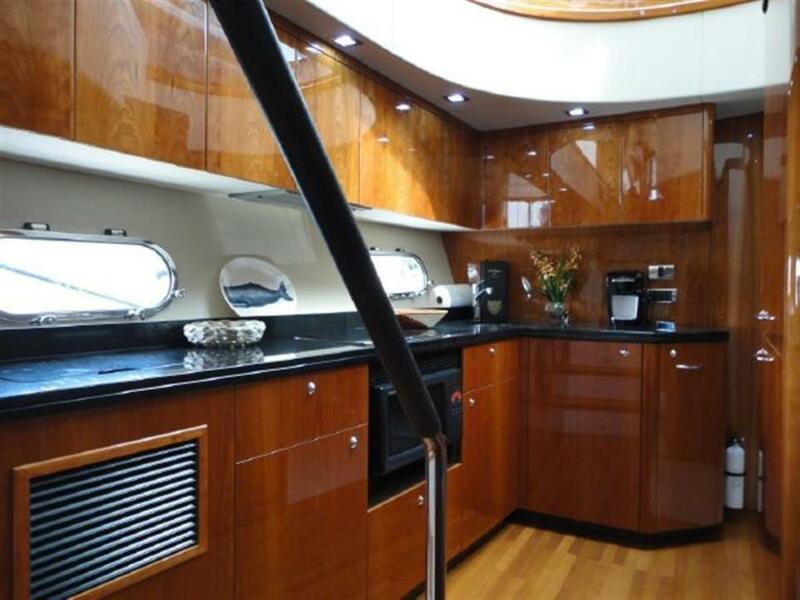 The granite counters provide lots of space to prepare gourmet meals and there is a great deal of storage in the high gloss cherry cabinets and upper and lower refrigerator freezer. 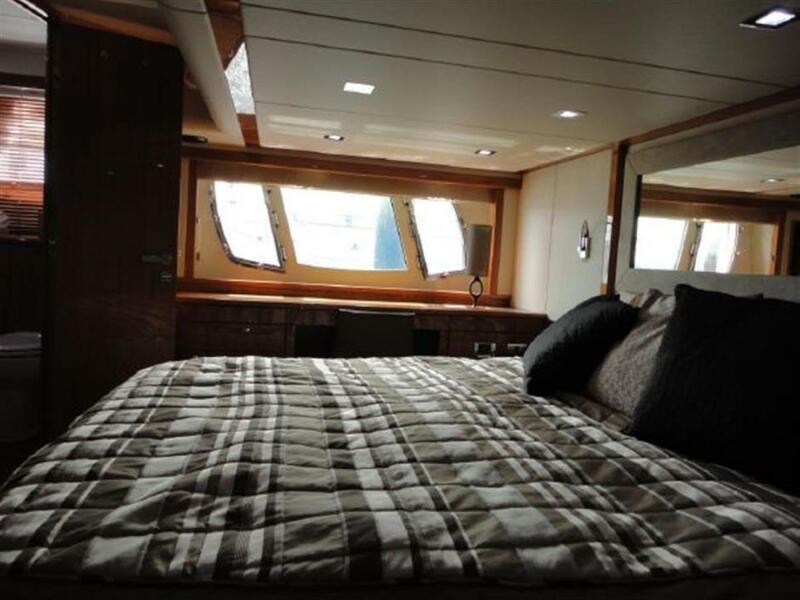 A full beam Master Stateroom with 6 large hullside windows, four of which open for natural ventilation, large VIP with pedestal queen bed on centerline and ensuite head with shower, and a twin guest cabin provide great accommodation for owners and guests. 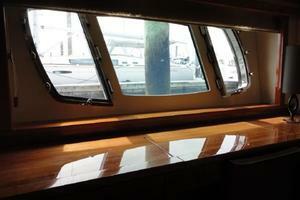 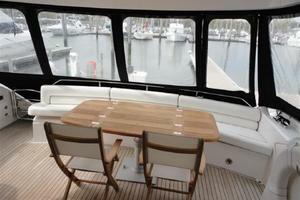 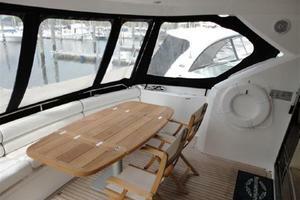 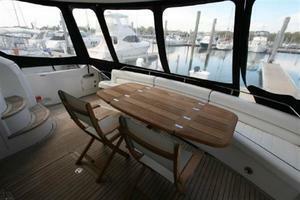 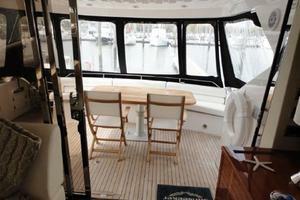 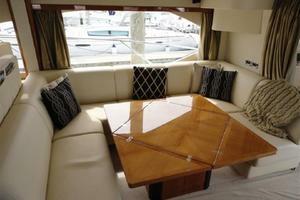 The aft cabin with twin berths can accommodate a Capt. 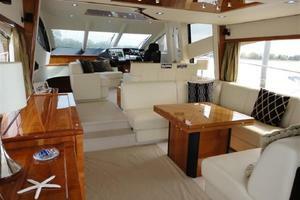 and crew member or two more guests. 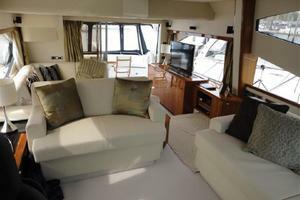 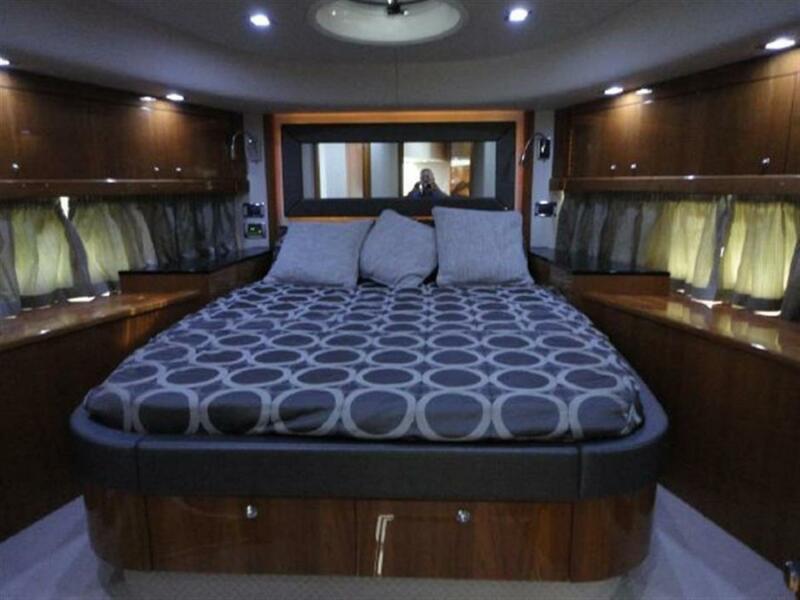 It is air conditioned and has a head with shower, flat screen TV and separate stereo system. She is also equipped with a Central Vacuum System. The flybridge is a great entertaining area with plenty of seating including a dinette with wrap around bench, comfortable helm seat with full controls and electronics, forward sunpad, and lounge area with head rest. 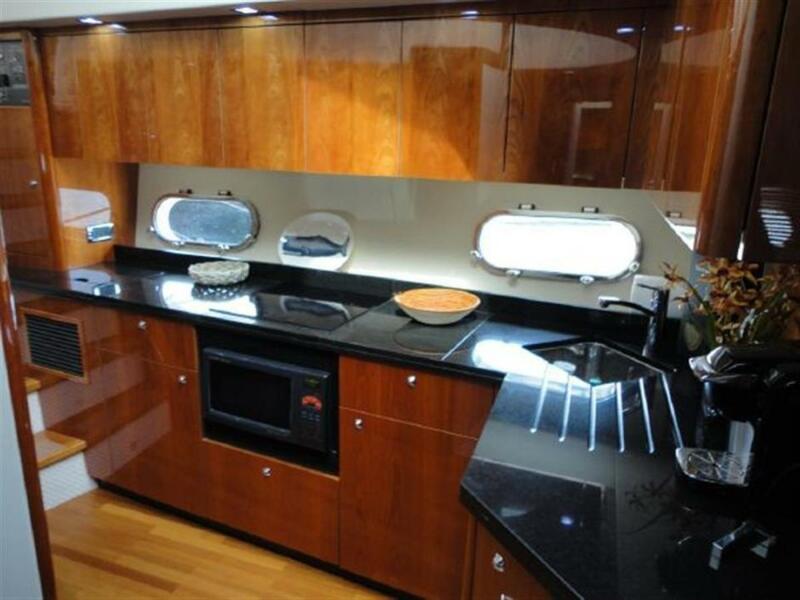 There is also a grill, icemaker, refrigerated ice box, and a sink with hot and cold pressure water and a separate stereo system. 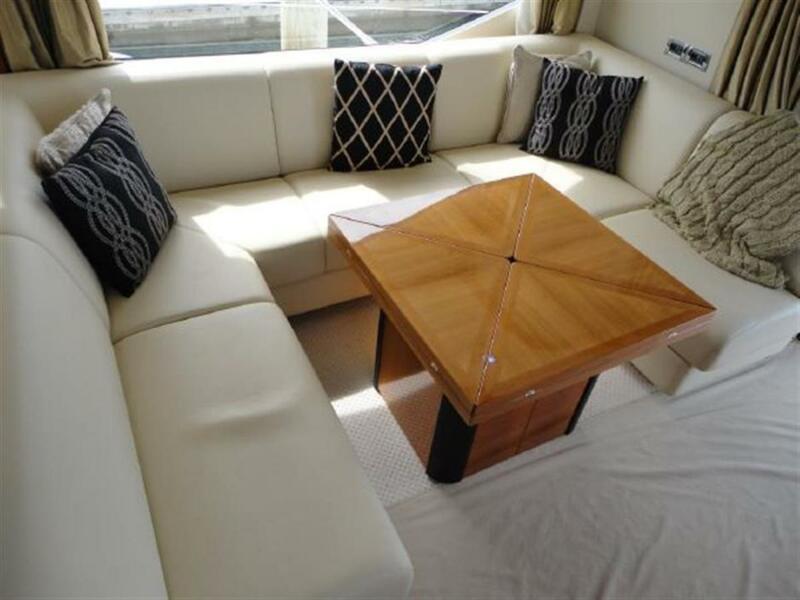 The aft deck area has teak decking, a large teak dinning table with two teak high back chairs, overhead lighting, stereo system, and a full enclosure with windows or screening to give great flexibility in any weather. The engine room is accessed from a hatch in the aftdeck and is very clean sound engineers have done a great job of sound attention in this area which is aft of the main living quarters. 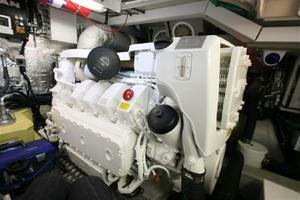 Also located here is the 15KW generator enclosed in a hush box. 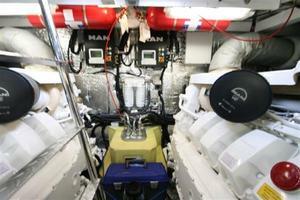 She is equipped with an oil changing system as well.